Your LinkedIn profile is the cornerstone of your professional brand online. Yet many professionals still treat their LinkedIn profile as little more than a place to park their CV and promptly forget about it. At 500 million users and growing, LinkedIn is the social media site that boasts the largest network of business professionals. 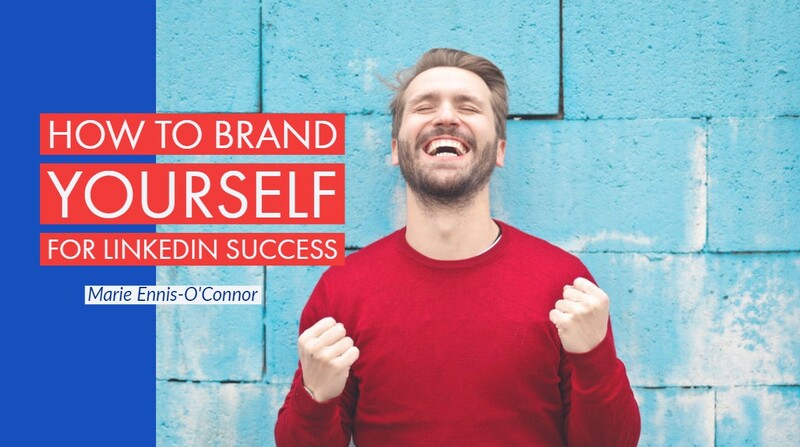 In this article, I am going to show you how to get the most out of LinkedIn so you can increase your visibility and boost your professional credibility on the platform. So let’s get started at the place where we start all social media strategy. 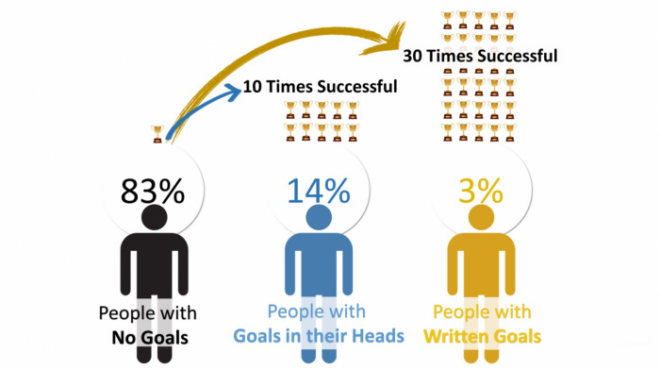 It’s no secret that goal setting increases your likelihood of social media success. What do you want to achieve on LinkedIn? Do you want to generate leads? Connect with industry influencers? Find a new job? Establish yourself as a thought-leader? Clear goals will propel your LinkedIn strategy forward. For a goal to become a reality, it needs to be specific, measurable, attainable, and realistic, as well as time specific — these are often called SMART goals. SMART goals are one of the longest-lasting, most popular goal-setting frameworks for business. For example, if your goal is to generate leads, how many new leads will you aim for? In what time frame? Is this goal realistic? Whether you’re just getting started on LinkedIn or have already used it for a while, optimizing your profile is essential to your success. You won’t be effective at LinkedIn networking if your profile doesn’t entice people to get to know you. LinkedIn profile optimization simply means that your LinkedIn profile is fully updated to maximize your visibility on the platform. This includes customizing your LinkedIn URL, adding a professional profile image, creating a strong headline (aka your elevator pitch) and a compelling summary. Click here for a step-by-step guide to optimizing your LinkedIn profile. In your summary and work experience sections make statements that show you know how to solve your client’s problems. Provide evidence to back this up. Be sure to get recommendations from current and past clients as social proof. 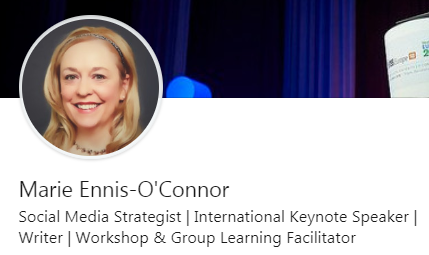 Pro Tip: Adding a background image to your LinkedIn header will help brand your profile. Think of it as your professional billboard. There’s no better or faster way to highlight your expertise, build your personal brand and grow your LinkedIn followers than through creating and sharing high-value content with a strong focus on your topic(s) of expertise. One of the best ways to do this to publish long-form articles directly on your LinkedIn profile. 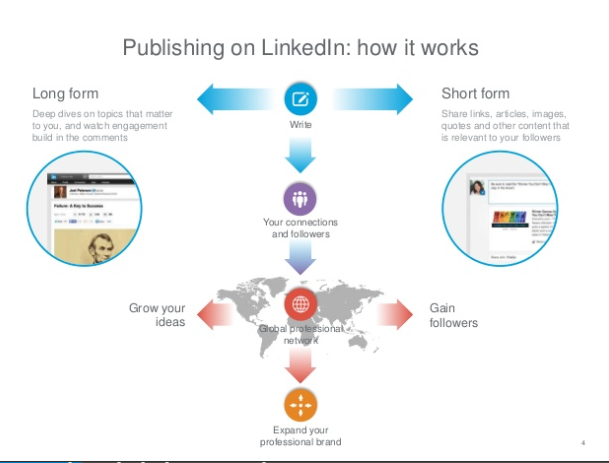 When you publish an article on LinkedIn, your original content becomes part of your professional profile, it’s shared with your connections and followers in their news feeds, and members that aren’t in your network can follow you from your article so that your next article will be surfaced in their feeds. LinkedIn Publishing is even searchable through Google. Check out my article How To Increase Your Visibility On LinkedIn By Publishing Articles for more information. Did you know that only one-third of LinkedIn members visit the site every day (according to a survey conducted by Lab42)? When you log into LinkedIn, notice each time who shows up in your home feed. Most likely you will see the same few people. These individuals are getting more visibility because they are more active. If you make the commitment to become more active in your network, you will increase your visibility too. A great way to stay active and visible is by posting a status update once a day as well as engaging with the posts and articles of your connections in your newsfeed. What you choose to post on LinkedIn will define you as a trusted authority within your industry. The key is to share news, articles, and insights that are relevant to your connections. Think about the type of content which is most useful for your audience. Your goal as a thought leader is to consistently deliver your unique perspective on your top industry topics. LinkedIn is encouraging users to post and search for specific hashtags. 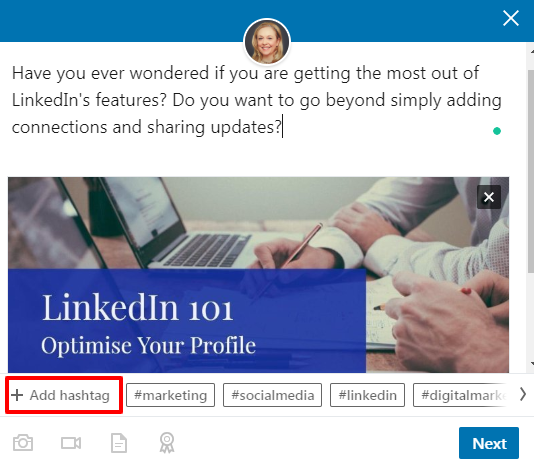 Before you begin adding hashtags to your LinkedIn posts and articles, you’ll need to find hashtags that align with the interests of your connections and followers. A good place to start is to see which hashtags the influencers in your niche are using on LinkedIn, as well as on sites such as Twitter and Instagram. Nurture your LinkedIn relationships through regular engagement. LinkedIn will notify you with trigger events (such as when one of your connections starts a new job). Take a moment to reach out to them with a personalized message. Join groups on LinkedIn and start a conversation or comment on topics relevant to your niche. You will find groups by clicking on Interests > Groups from your profile or searching keywords to identify groups with interests similar to yours. I recommend using groups as a way to connect with like-minded individuals and to be part of a larger conversation around specific topics. Be an active participant in these groups. Consider setting up your own group for increased control and visibility. There was a time when you could only embed video content on your LinkedIn page from YouTube or a similar third party. But you can now record a video inside the app or upload a pre-made video from your camera roll. This feature is available only on mobile, so download or update the app to make sure you have the latest version. In the short-term, native video on LinkedIn is still a novelty and presents an opportunity for you to stand out. Native video also makes it easier for LinkedIn company pages to appear more authentic in their storytelling, helping individuals connect with and follow brands they know they can trust. 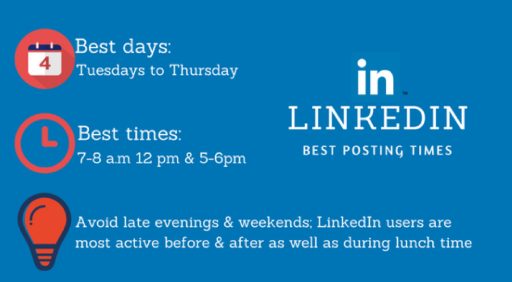 As a general rule, LinkedIn users are most active right before and after work (7–8 am and 5– 6 pm), as well as during lunch time. Experiment for yourself. Post at different times and take note of which times your particular audience is most engaged with you. Taking time and care over each of these steps will pay dividends and reward you with increased visibility and enhanced professionalism. Would you like to receive more tips like these each week? Then subscribe to my newsletter for insights delivered fresh to your inbox.